The Tuesday Tussle; the biggest illustrators squaring off against pop's biggest icons - icons you never thought they'd touch. This week we see the street-level pencils of the late Gene Colan, take on comics' ultimate speedster; The Flash. Fight! WINNER: Gene Colan. 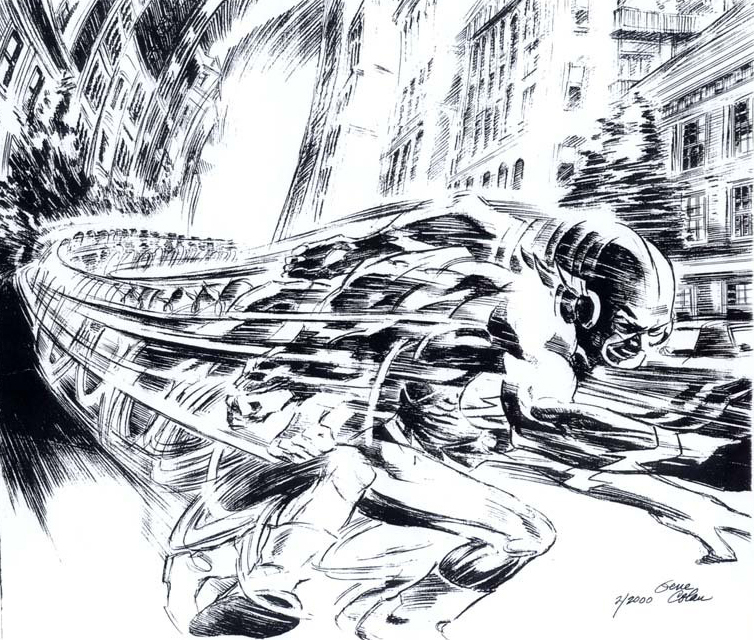 DC missed out big-time on this one - just look at how Gene drew warp-speed. That's how a speedster should move! While the Road Runner-ish legs make me smile, I dig the little touches, like the more oval aerodynamic helmet and goggles. More great Gene Colan art after the jump. 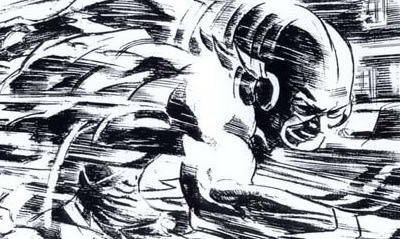 Wow, he would have been ideal as a regular Flash illustrator because his art had such motion in it. Glad you both like it as much as I do guys. Flash actually does look like the Scarlet Speedster! Aaron - good to see you back on IADW mr - hope you've been goin' well! Next week a dynamic duo by Jim Lee - but not the one you think!